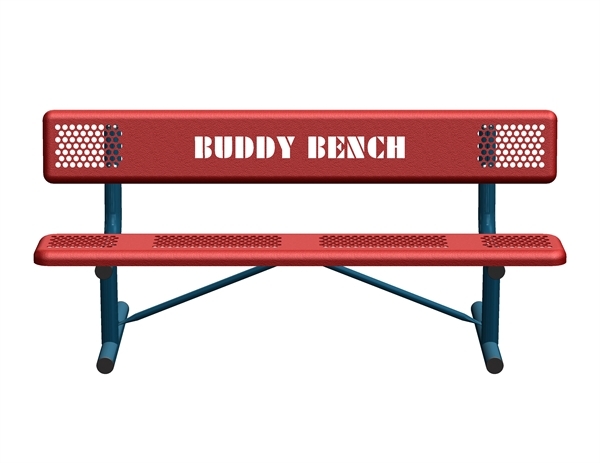 The Buddy Bench is made to give children a chance to foster friendship . 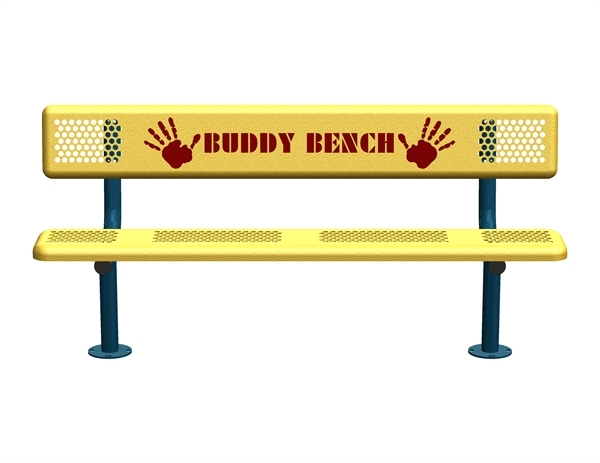 If a child is feeling lonely or sad and sits on the Buddy Bench, other children are invited to join in. 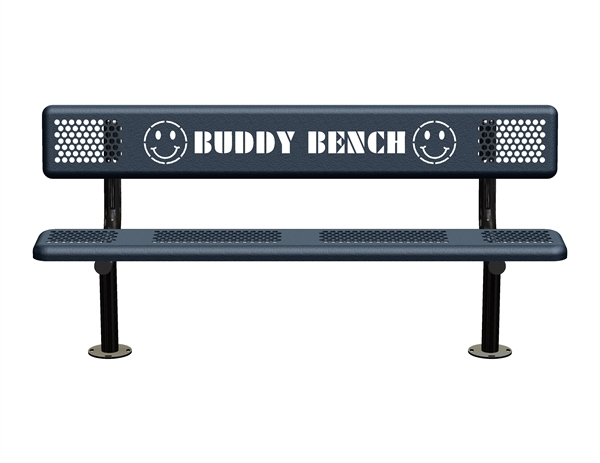 This 8 foot bench with back features 11 gauge punched steel with 3/8” steel tubing. 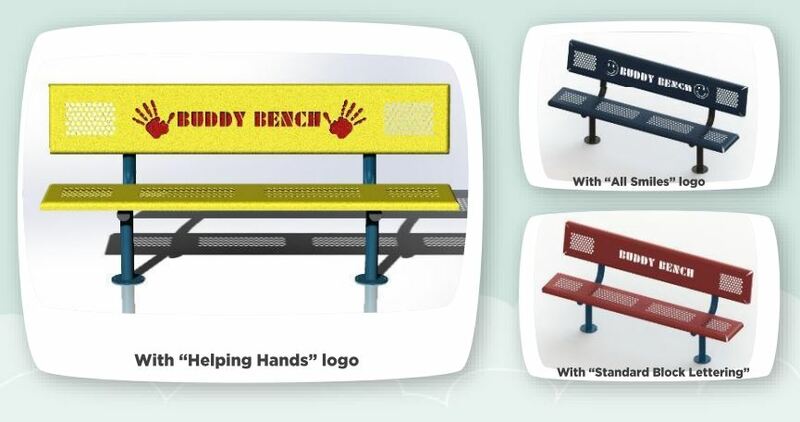 This buddy bench is featured in three different designs: “Helping Hands”, “All Smiles”, and block text. 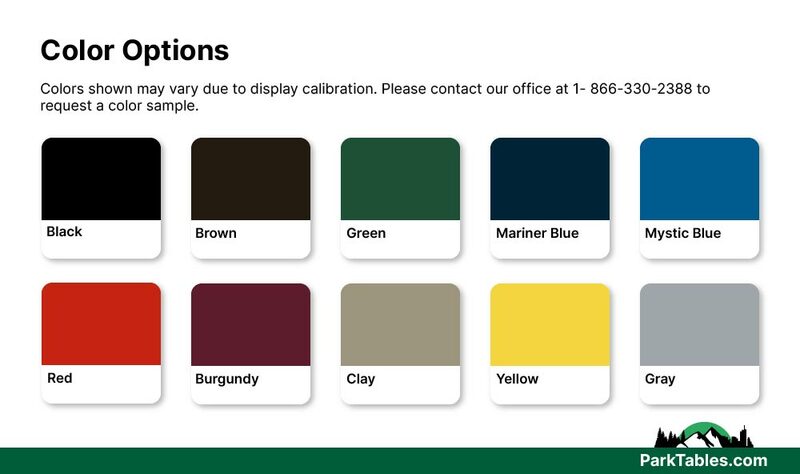 We offer a back plate to give the text color. Give us a call to find out how to get your school logo on a Buddy Bench.